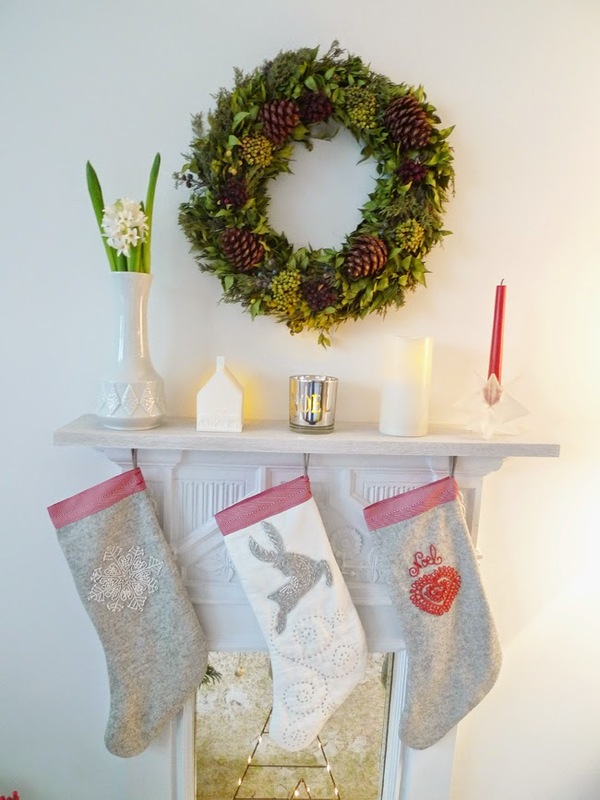 Christmas stockings finished just in time for the jolly man's arrival. 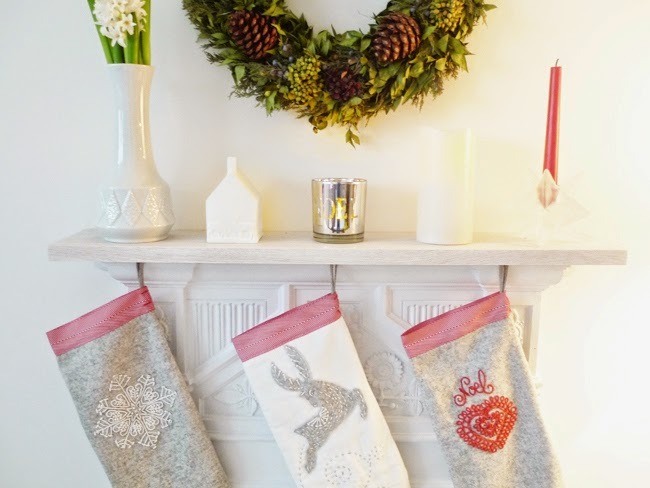 To make these, check out Scandinavian Needlecraft and don't forget to arm yourself with a vanishing fabric marker pen. Very refined stockings! I hope you have a Merry Christmas! 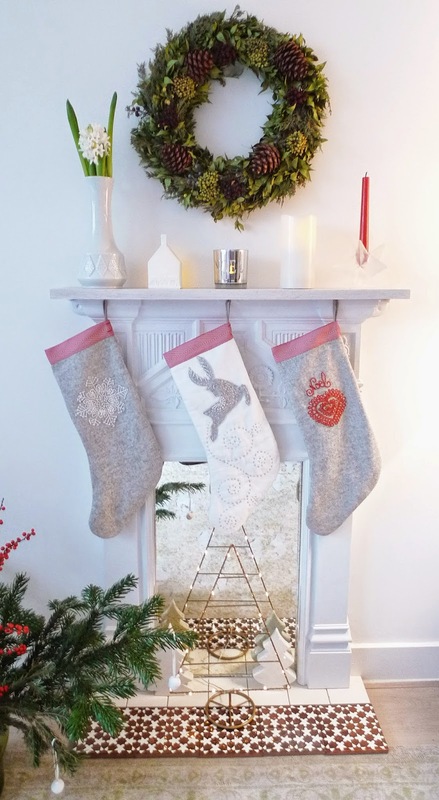 That's a very pretty Christmas display - with the stockings and all the rest!